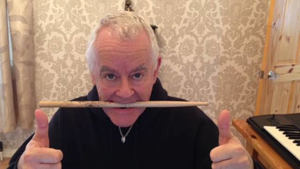 SAXON Drummer GLOCKLER Makes "100% Recovery"
“I am pleased to say that the neurosurgeons have informed me that I have made a full 100% recovery and there is zero damage at all from the ruptured aneurysm, mainly due to the part of the brain it was located in. This means that I am okay to get back to work, but I am told to ease back into it and on my own timeframe - meaning whatever I am comfortable with. To that end I have started to work on getting my stamina back up and I look forward to being back full time very soon. It is yet unknown if he will be behind the kit when the band heads to the States in a few months.